Now my boys have always been big into super heroes, whether its watching them in movies or on TV, or acting out scenarios with each other and friends. My husband and I also grew up surrounded by the classics of Batman, Spiderman and Superman. 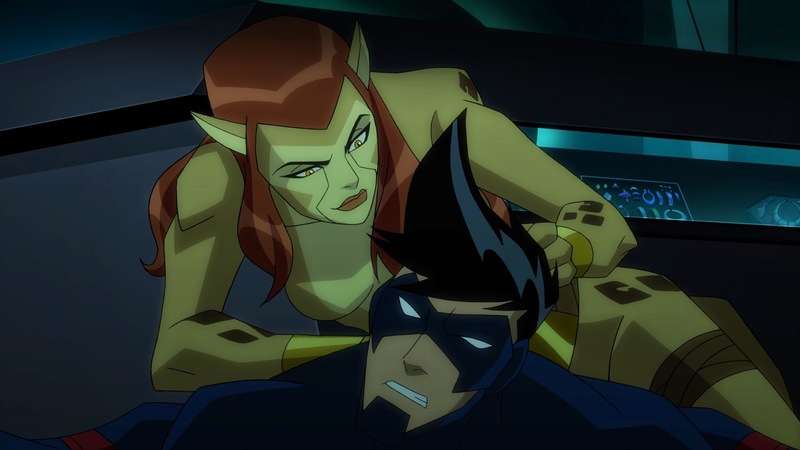 When we first heard about the new DVD from Warner Bros. Home Entertainment Batman Unlimited: Animal Instincts, we figured it would be perfect for a family movie night. Own it on Blu-ray™ Combo, DVD and Digital HD, May 12th, 2015. The synopsis says "“When Gotham City is plagued by a rash of bizarre crimes committed by the animal-inspired villain squad, the Animilitia (made up of Silverback, Cheetah, Killer Croc and Man-Bat), Batman swings into action to investigate. But could the Animilita be working for powerful businessman Oswald Cobblepot aka The Penguin? How does Cobblepot's new invention of robotic Cyber Animals fit into the mix? In the end, it'll take the combined forces of Batman, Green Arrow, Flash, Nightwing and Red Robin to fight off these "ANIMAL INSTINCTS." It was kind of interesting to watch this one with the boys since Kevin and I are into the current TV Series Gotham. It was enlightening in a way to refresh our memory on certain characters like the Penguin. The boys thought it was a good action packed movie with their favorite superhero and us adults were pretty into it as well!